We are manufacturer of Nandi Peanut Butter Making Machine. These products are developed using premium quality stainless steel, Cast Iron Body. Suitable for domestic as well as semi commercial purposes, these machines are made available to the clients. 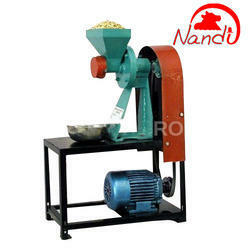 Looking for Nandi Peanut Butter Making Machine ?